culture and is, even today, a living example of this culture. 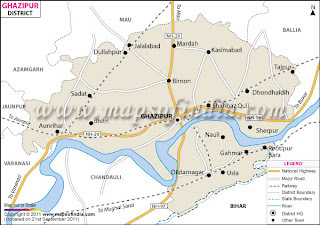 Ghazipur is bounded on Ballia and Bihar State in east, Jaunpur, Varansi and Azamgarh in west , Mau and Ballia in north and the Chandauli in south .The boundaries are generally conventional though at places they are marked by natural feature. The muslims of Ghazipur are a curious mix of the traditional and the modern. While the people are secular, liberal and progressive, at the same time they are also deeply rooted in social and religious traditions and taboos. While its diversity is its strength, it is often equally divisive although rarely parochial. Old rituals, traditional practices and archaic agricultural methods are still followed and little by way of progress and development has trickled down to the hinterland. 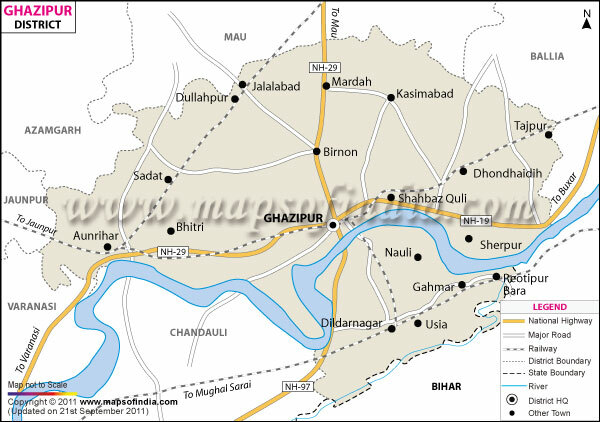 That, in a nutshell, is Ghazipur, a state that defies definition. 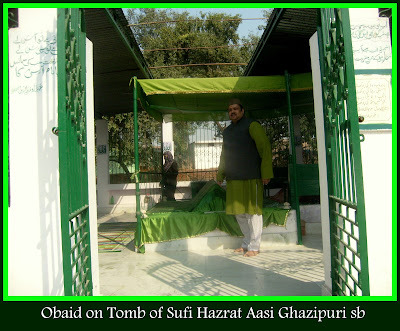 Muslims of Ghazipur are the most diverse of Muslim population of U.P. Some of them came from different parts of the Islamic world over a period of thousand years to seek security, employment, trade, and to spread Islam; bringing with them their culture, knowledge, and their own versions of Islam. 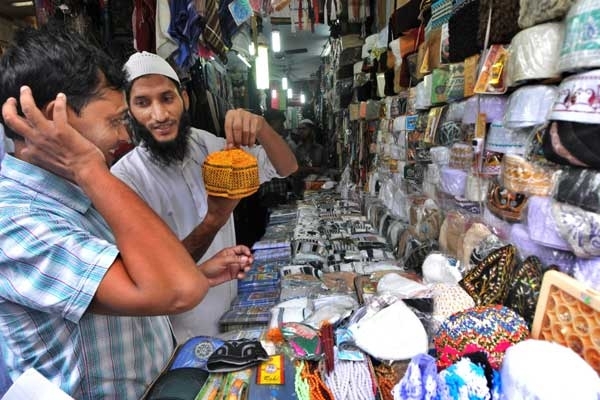 Though there has been much interaction with different Muslim groups, the differences have survived to make Ghazipuri Muslims a very diverse ummah. 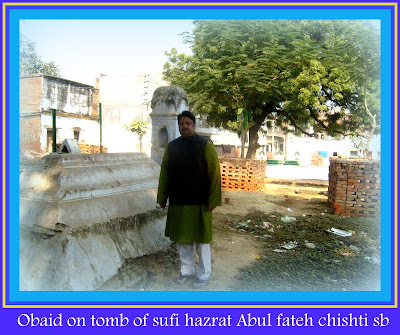 Hazrat Abul Fateh Chishti and Hazrat Shaikh Yaqoob Chisti who brought the Chishtiyya order and Hazrat Shaikh Junaid ahmad usmani peer qadri ,who brought Qadriya order to Ghazipur and they are considered as the most outstanding Sufi saints in eastern U.P.Both dargahs are the most holy places for Muslims. 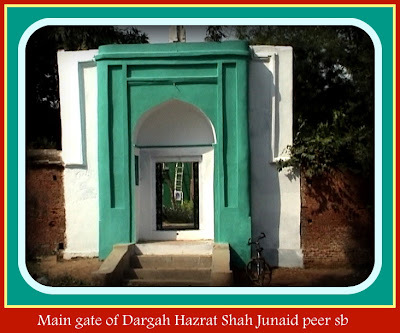 The Dargahs are equally holy for Hindus and other religion followers. The shrines are equally prayed by Hindus. 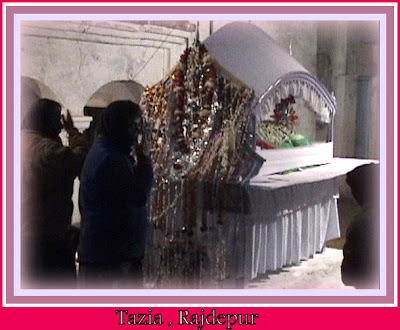 ‘urses are a yearly celebration of the death date of Sufi saints. 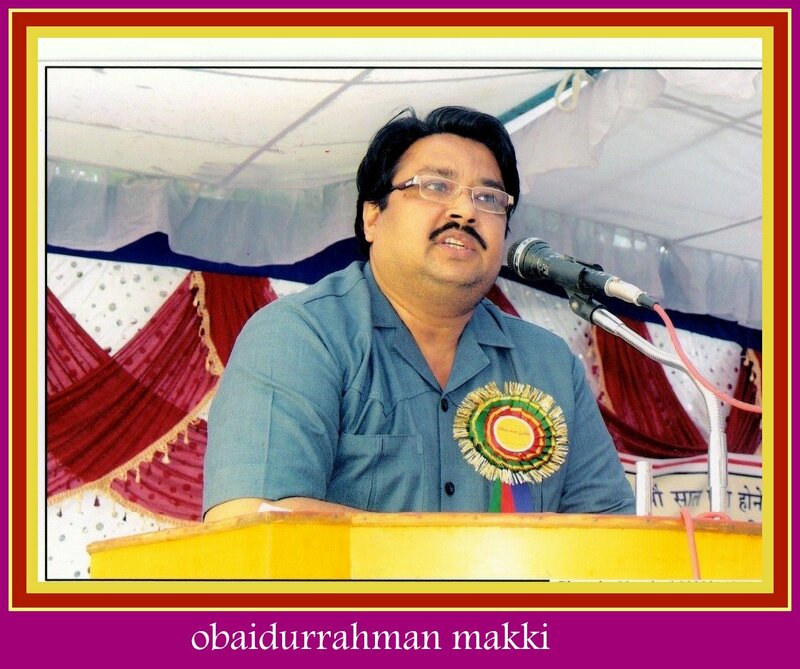 Contribution of intellectual class of Ghazipur is not small in coveying suffism to the common society. Among such class can be included high officers and thinkers. 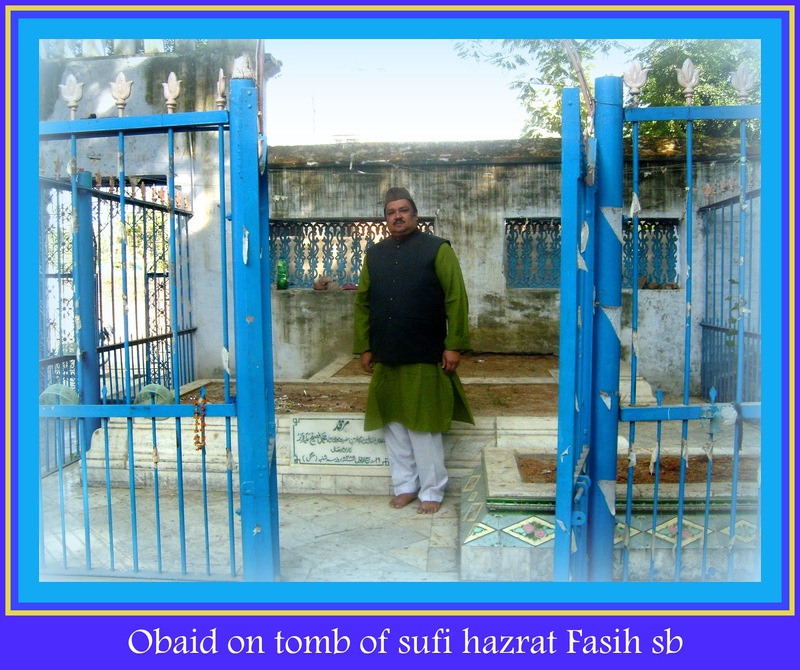 This class had taken Sufism or Sufi saints at a high place in society by often expressing Sufi school of thought in their thought related exchange or writings. Unpublished writings of such lords and nobleman or thinkers are available duly collected somewhere even today in the form of manuscript in Persian. 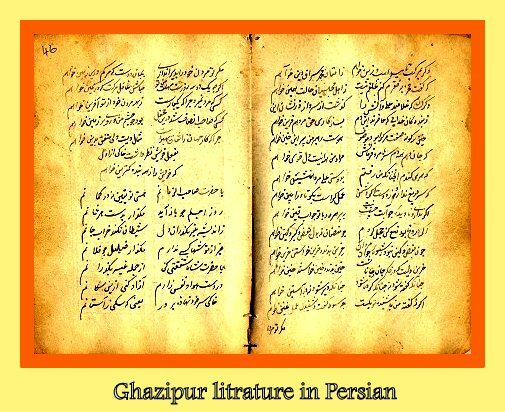 As a result intellectual class of society was doing maximum use of Persian. Government directives or spiritual thoughts were doing thought related exchange in this language only. 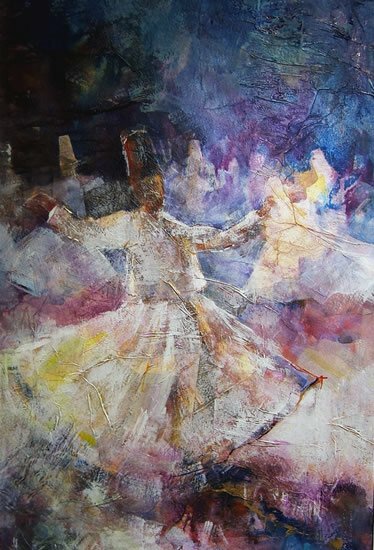 In so many unpublished but book in written form deep discussion of Sufism can be found. 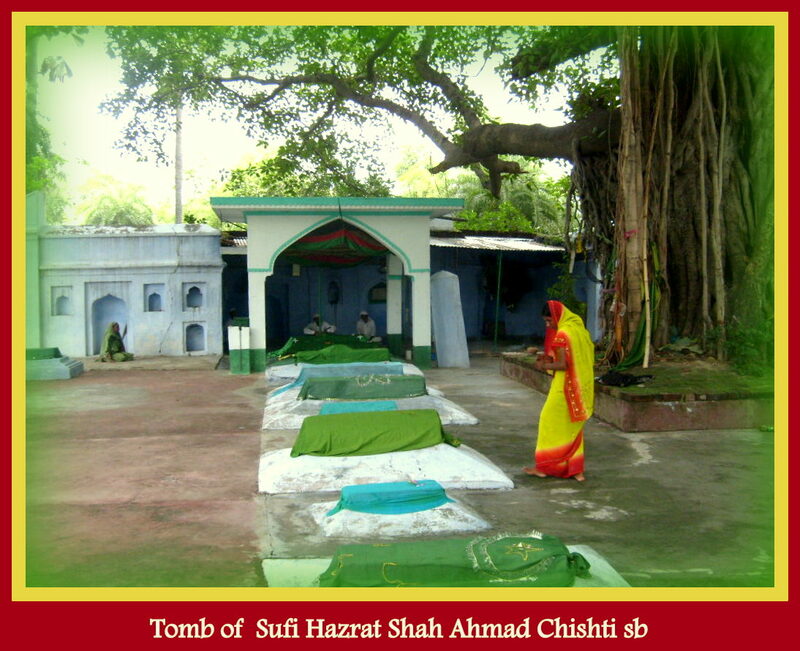 On account of the influence of Sufi saints, a number of Hindu castes accepted Islam. . As a result, a new class of native Muslims grew up. Their social form was born out of the co-ordination between Hindu-Muslim cultures. There is no place for caste system in Islam. 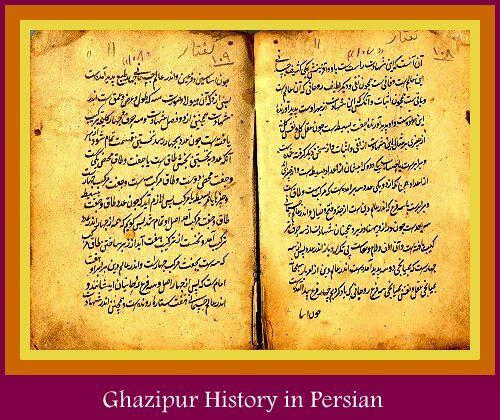 But in Gujarat classes which accepted Islam came from different castes and occupations. A number of castes came out from them. 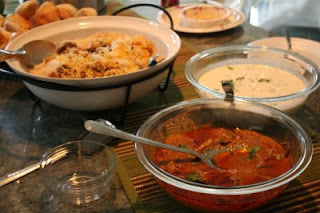 Customs, Traditions, Life-styles of this new class were quite similar to those of Hindu culture. In place of marriage, they started the custom of ‘Nikah’. 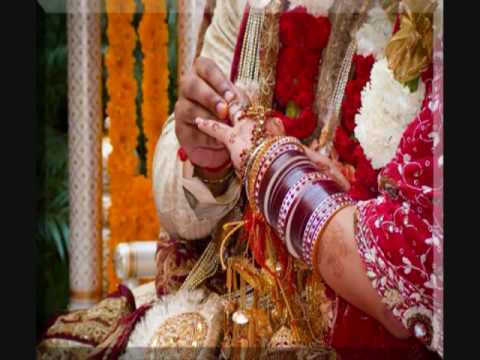 But marriage songs recited at marriage now began to be heard at the time of ‘Nikah’.Similarly, new surnames like identity of community of Muslims converted from Hindus came into existence. 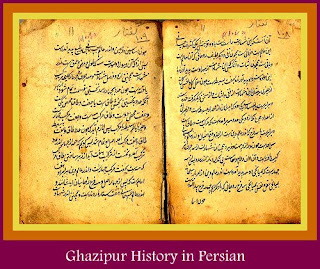 A survey done identifies following Muslim communities in Ghazipur, in the order of their numerical strength: Shaikh, Sunni , Pathan, Momin , Syed,Shias, Fakir, Musalman, Mansoori, Khatki, Sipahi , Memon, Hajam , Kanajar,Idrisi,Kunjara, Mughal, Kasbati, Dudhwala, Baluch, Makrani, Qureshi, Mirasi, Khatri, Dhobi, . The Muslim Bhumihar or sometimes pronounced as Bhuinhar are a Muslim community found in Ghazipur. 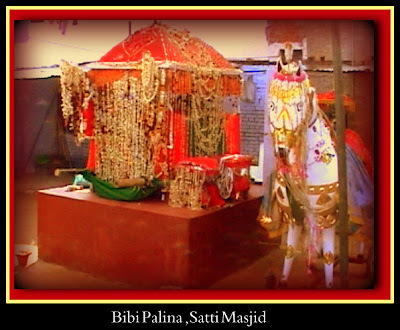 They are also known as Bhumihar Pathan, and are found mainly in the district of Ghazipur. The community is one of three Muslim groups in Uttar Pradesh, the other two being the Muslim Tyagi and the Nagar Muslims, that claim a Brahmin origin. The Bhumihar Muslims are converts from the Hindu Bhumihar caste. They are said to have been converted to Islam during the period of Lodhi over Ghazipur district. 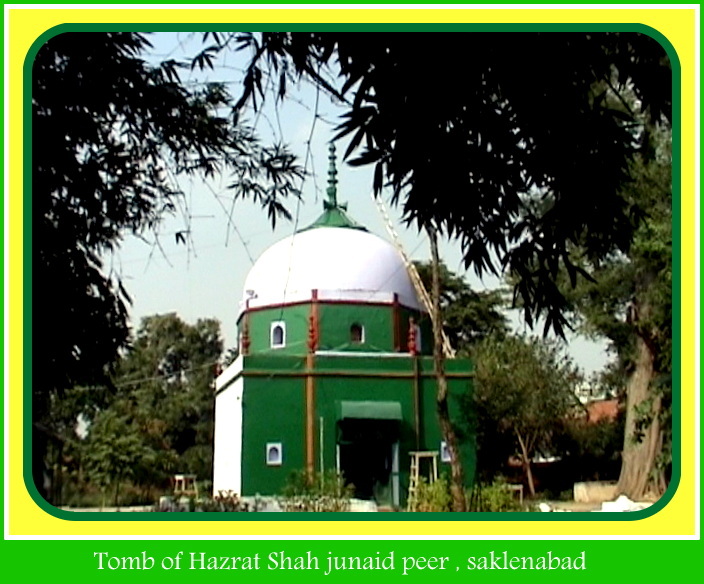 Other traditions refer to the conversion having taken place during the rule of Sher Shah Suri. 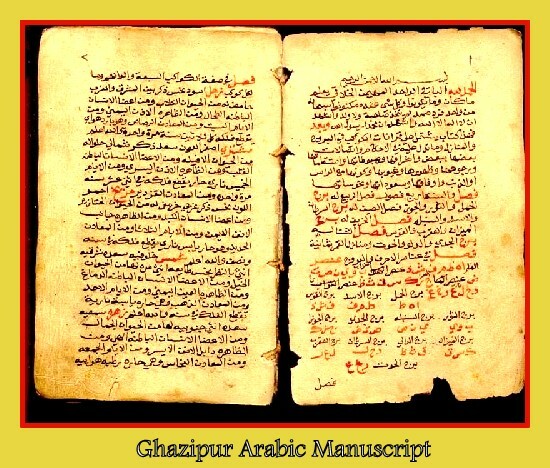 The Muslim Bhumihar belong entirely to a single clan, the Kinwar, who claim to have come from Delhi in the distant past, and like other Bhumihar assert Brahmin status for themselves. Subsequent to their arrival, they entered into the service of Tikam Deo, the Cheru tribal chieftain of Birpur and eventually overthrew him, seizing his capital and occupying his estate.They later split into three main branches; after the founders Rajdhar Rai, Mukund Rai, and Pithaur Rai. 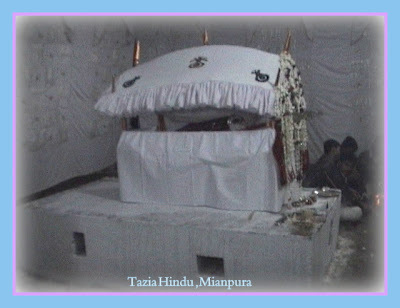 Rajdhar Rai captured Birpur and one of his subdivisions settled in the Bara taluka of Zamania, and converted to Islam.The Muslim Bhumihar now occupy a compact territory between near the town of Bara, between the Ganges river and the Bihar state border. The community has much in common with the neighbouring Sikarwar Khanzadas, whom they intermarry. Unlike Hindu Bhumihars, the Muslim Bhumihar do not practice clan exogamy, and marry close kin. There are, however, still cases of village exogamy. They are now mainly a community of peasant cultivators, but historically were in possession of most of the Bara of Ghazipur District. 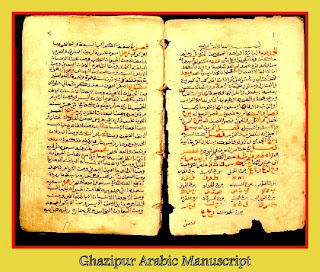 The Muslim Bhumihar speak Bhojpuri, although most also understand Urdu. Each of their settlement contains an informal caste council known as a panchayat, which enforces communal norms as well as resolving intra-community disputes. 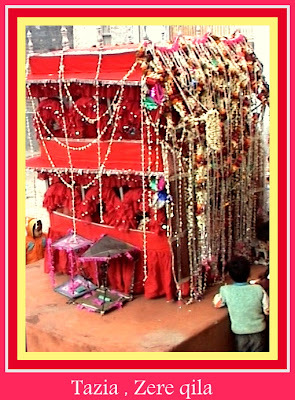 The Bhumihar are Sunni, although they practice many folk beliefs. College And Schools: Bara Inter College is the most popular college in the areas. There are many schools and Madrsas in this Village. Eid-ul-Fitr is the most festive occasion in the Islamic world. 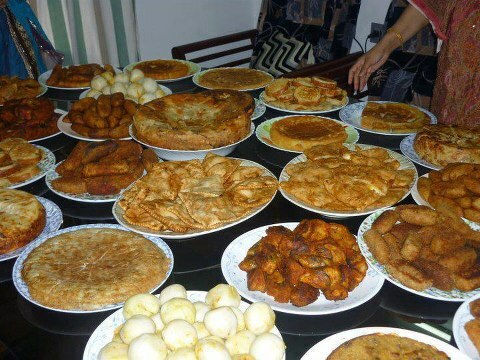 It comes at the end of the holy month of Ramadan (Ramazan), which is the ninth month in the Muslim calendar. It is the culmination of a month-long period of fasting, when every adult Muslim forgoes food, water and other eatables from before sunrise till sunset, as has been ordained by the Shariat or the Divine Law. It is known as 'Eid-ul-Fitr', because every Muslim is expected to give 'Fitrah', which is a sort of charity or alms, on behalf of himself and his family. Muslims believe that the holy Quran was revealed on one of the odd nights (Taaq Raats) of the last ten days of Ramazan. Historically speaking, the month of Ramazan is associated with two important victories of Prophet Muhammad - the battle of Badr and the conquest of Makkah. 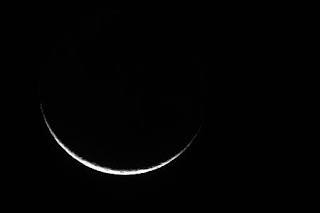 Eid is celebrated on the day following the appearance of the New Moon at the end of Ramazan. The most important part in Eid celebration is the community prayer, generally said in open places called the Idgahs. After the prayers people embrace themselves and thereafter visit friends and relatives to wish Eid Mubarak. 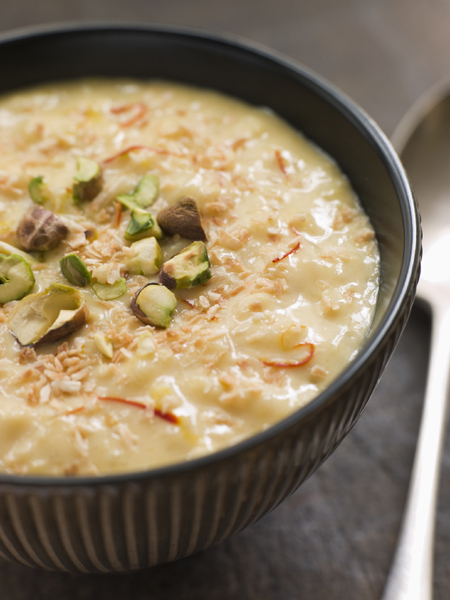 In Ghazipur, Muslims prepare sweet delicacies like halwa, sewiyan and Sheer Khorma. This festival is a merry occasion for young boys and girls, who dress themselves up in their colourful costumes and receive "Idi" or Eid-tips from their guardians and relatives. Eid-ul-Adha, Eid-ul-Zuha or Bakrid is celebrated on the tenth day of Dhul-hijja, the twelfth month in the Muslim calendar. The Id-ul-Azha commemorates the ordeal of Prophet Ibrahim, who was commanded at his ripe old age by Allah to sacrifice his only son Ismail, who was dearest to him. Prophet Ibrahim decided to sacrifice the life of his son Ismail in deference to the wishes of Allah. He called Ismail and mentioned to him about his decision. Ismail dutifully agreed to be sacrificed to please Allah. Prophet Ibrahim then blindfolded Ismail and cut off his son's head, only to discover on opening his eyes, that his son was alive and a ram had been sacrificed instead. Since then, a ram or bakra is sacrificed in the name of Allah. 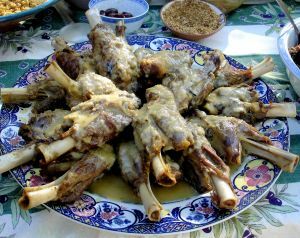 The sacrificial meat is distributed and partaken of after the Eid prayers. The Eid is also the time when many Muslims undertake the pilgrimage of Haj to Makkah. The specific day of the Eid marks the culmination of the Haj rituals at the Mina valley, located about 6 Kms from Makkah. 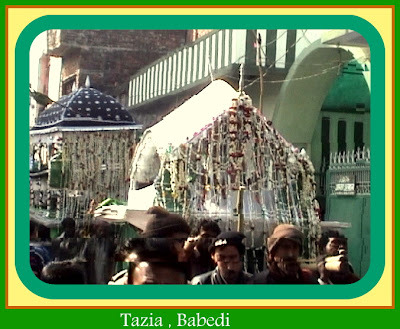 Prophet Muhammad (pubh) was born on the twelfth day of Rabi-ul-Awwal, the third month in the Islamic calendar. He was born in 570 C.E. and since the Islamic calendar is 354 days long, the Hijri date is pushed back up to 11 days each year. Muslims celebrate this occasion as Milad-un-Nabi (translated: birth of the prophet) or Mawlid by holding functions and gatherings throughout the month of Rabi Awwal. 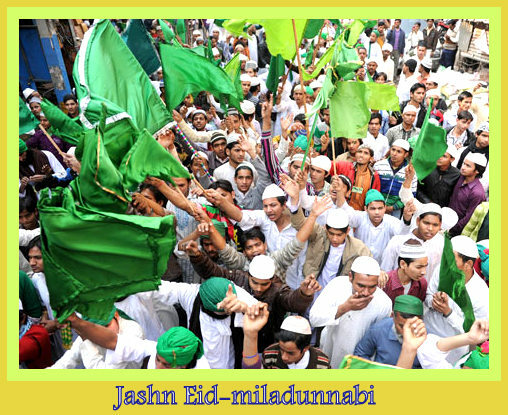 The origins of the observance of Milad-un-Nabi can be traced back to the Fatimid dynasty in eleventh century Egypt, four centuries after the death of Muhammad, as a Shia ruling class festival. The main thrust of these Milad-un-Nabi gatherings is to remember, observe, discuss and celebrate the advent of the birth and teachings of Prophet Muhammad (pubh). On this day Scholars and Poets recites Qasida al-Burda Sharif in Special gatherings, the famous poem by 13th century Arabic Sufi Busiri. In Ghazipur, a public holiday is declared to mark this occasion. The holy relic of the Prophet are displayed in Yusuf Pur Muhammadabad at Qazi Malik sb House and Qazi Aijaz sb house after the morning prayers , Which is attended by thousands of people. It may be noted here that although the birth of Prophet Muhammad was the most significant event in Islamic history, neither the companions of Prophet Muhammad nor the next generation of Muslims observe this event. Furthermore, the Prophet himself neither advised his followers to observe his birthday nor himself observed the birth or death anniversaries of his family and loved ones, including that of his first wife Khadijah bint Khuwaylid. Thus, Milad-un-Nabi is observed as a festival only in the Indian sub-continent and a few Arab countries like Egypt, while most Islamic countries do not attach any special significance to this day in consonance with the Islamic principles of not celebrating birth or death anniversaries. 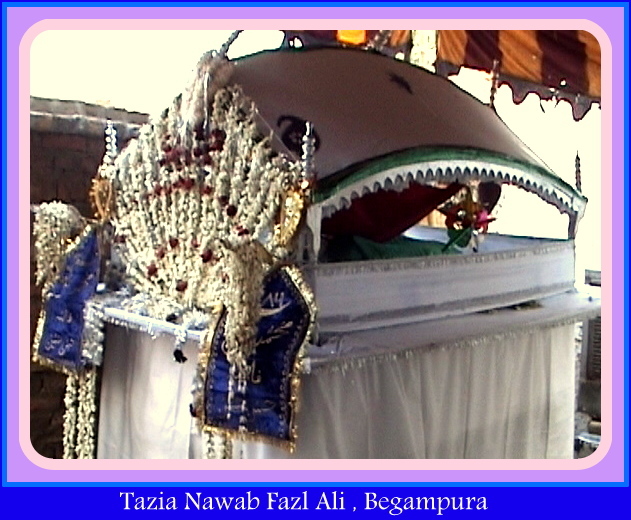 The death anniversary of Prophet Muhammad (pubh) also falls on the twelfth day of Rabi-ul-Awwal. 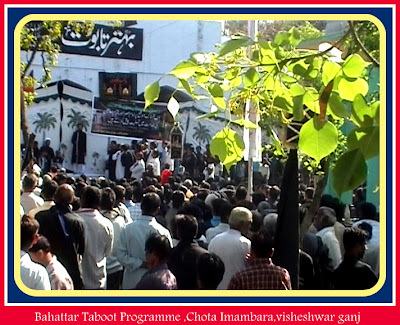 This occasion is also observed in some parts of Indian sub-continent as 'Barawafat'. The word 'barah' stands for the twelve days of the Prophet's sickness. During these days, learned men deliver sermons in mosques, focusing on the life and noble deeds of the Prophet. 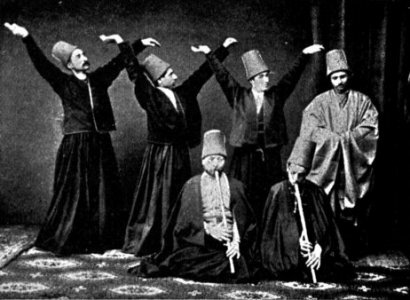 Elegies or marsiyas are sung in memory of the last days of the Prophet. In Ghazipur ,Mohalla Nooruddinpura, the Barawafat is notable for the Madh-e-Sahaba processions taken out by the Sunni Muslims. 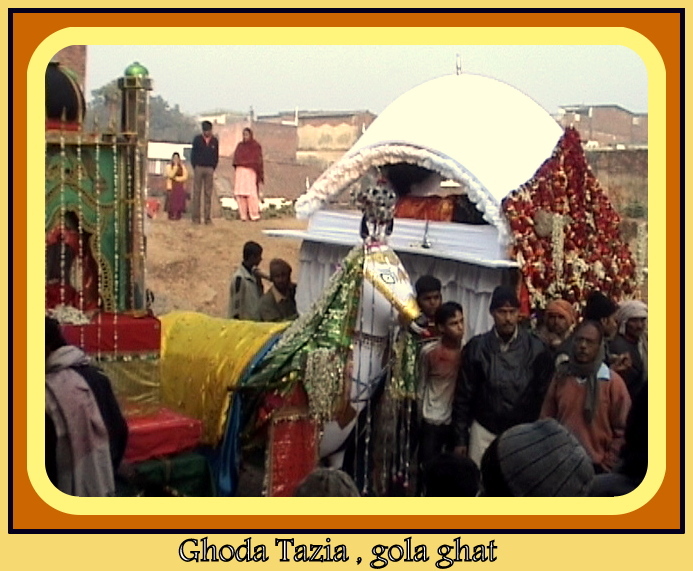 The procession was banned earlier due to Shia-Sunni clashes in 1968 but was allowed by the administration after a compromise between leaders of the Shia-Sunni sects. Muharram is not a festival in the celebratory sense as it mourns the Karbala tragedy when Imam Hussain, the grandson of Prophet Muhammad, was martyred in the 61st year of the Hijra (AH) corresponding to 680 AD. During Muharram, taziyas (bamboo and paper replicas of the martyr's tomb) processions as well as green alams (standards of Hazrat Imam Hussain's army) made of silver, copper and brass, are carried through city streets, accompanied by young men beating their breasts in collective sorrow. On the tenth day, known as Yaum-Al-Ashura, the processions carrying the taziyas and alams terminate in open spaces where the taziyas are buried. Juice or sherbat is freely distributed to everyone. People generally wear black clothes on the Yaum-Al-Ashura. During this period, women forsake all adornments, even their bangles. All kinds of celebration like marriage are disallowed during this period. 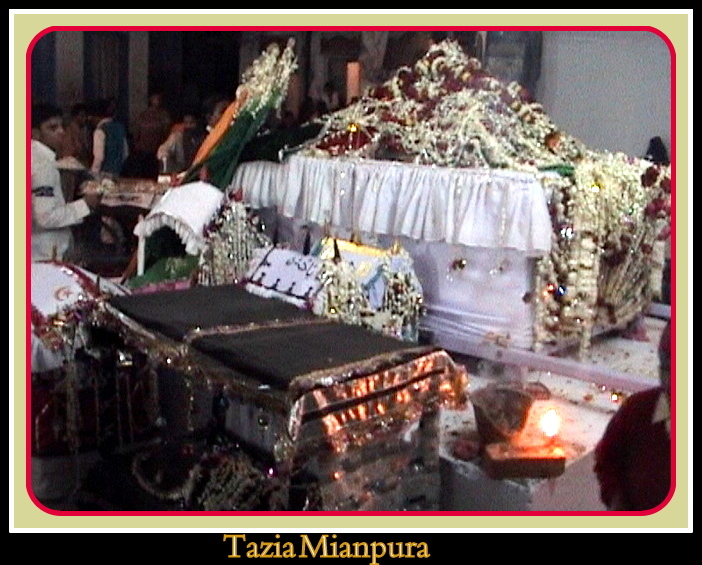 In Ghazipur, as the Muharram crescent was sighted, Azadars (mourners) spread mourning carpets and black flags are flown in Imambargahs, Imambaras, Ashour-Khanas, Aza-Khanas, Hussainiyaat and Islamic centers, and decorated relics paying rich homage to the great matchless sacrifices of Hazrat Imam Hussain (A.S) and his 72 companions presented in Karbala. During this period, women forsake all adornments, even their bangles. Married women even newly married weds smash their bangles, wear out red outfits. The first 10 days however, are the most important and are passionately observed as a period of mourning and grief. 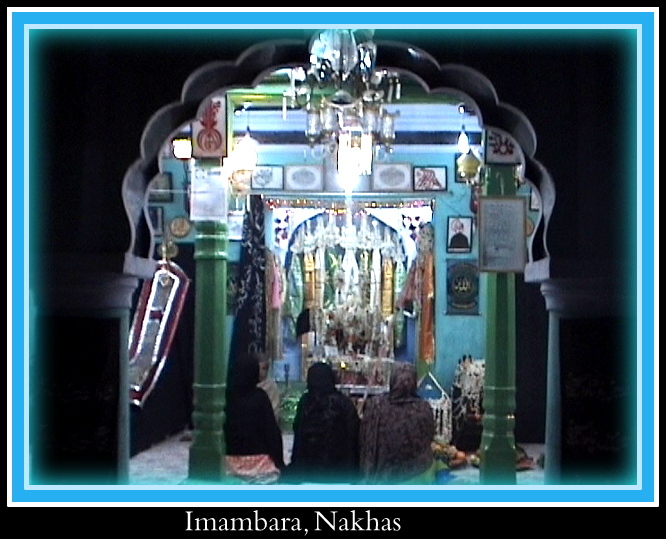 During the first ten days of the month, Majlis (Discourse) are organized in the Imambargahs. 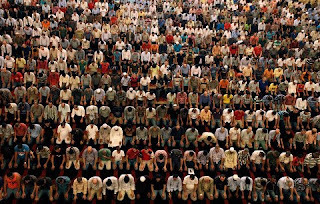 The azadars (faithful) wearing black assemble in large numbers to listen to the sad tale of pathos and agony, of courage and bravery, in a battle for upholding the principles of Truth and Justice. 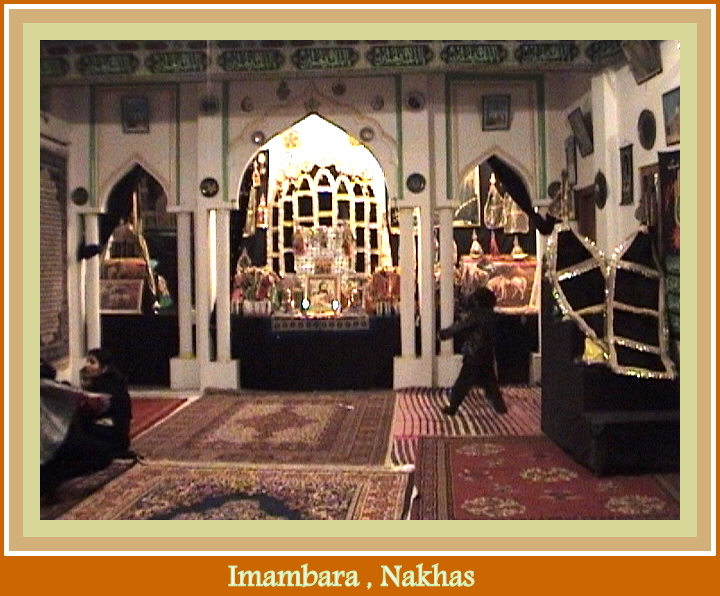 These Majlis reflect the philosophy of religion, history of other 'Anbia' (Prophets), Imams and Duat, the meaning and message of Islam and the Shariat, social problems, human behavior and interaction, advices (naseehat), economic welfare, Doa and recitation of Quran along with the Qaseedas, and Marsiya. In every Majlis, the different episodes form the saga of Karbala is related, culminating in the narration of Shahadat of Imam Husain (AS) with tears and continuous 'Matam' and chanting of 'Ya Husain", "Ya Husain". 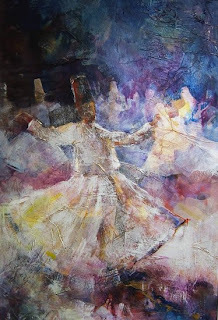 In between Marsiyas are recited, full of pathos and pain, in a sonorous voice. 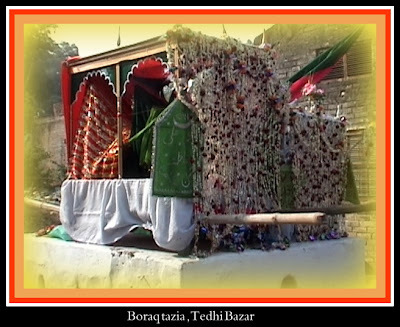 These Tazias, Alam or Tabuts are the replicas of Martyr’s Tomb that are carried all through. 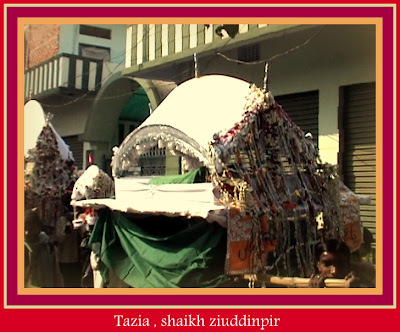 The Tazias are colorful 2-3 storied structures crowned with a dome and are made out of Bamboo, tinsel, colored paper and a wooden framework. Tazia of Persian origin literally means weeping, beating the breast and expressing grief. 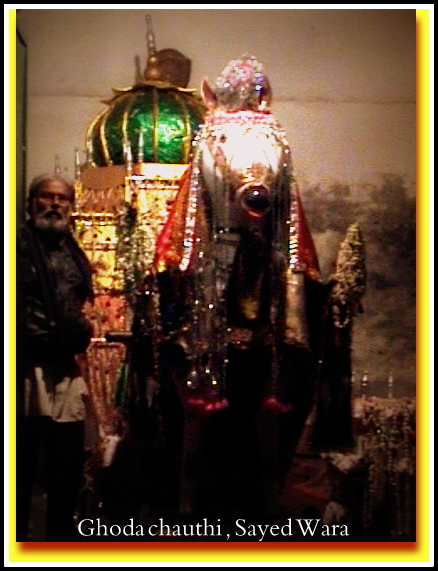 The procession also includes a well-decorated horse, representing the horse of Imam Hussain (A.S). The mourners walk barefoot to the beat of drums. In a frenzy of grief, .. They strike their body with chains while some walk with bare feet on burning coals. Touching voices of lamentations “Ya Hussain (S) and Wa Hussaina (S)” are heard from every nook and corner and tears gushed out of every eye with intense grief. Women however remain indoors that retain personal mourning houses or Imam Bargahs. 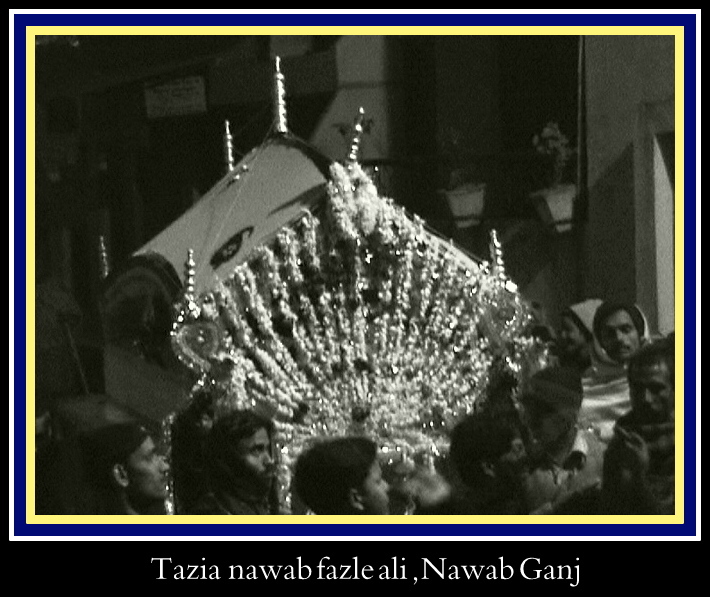 The procession comes to an end before dawn when the Alam and Tazia’s is taken back to the Imam Bargahs where the alams are placed all year through. 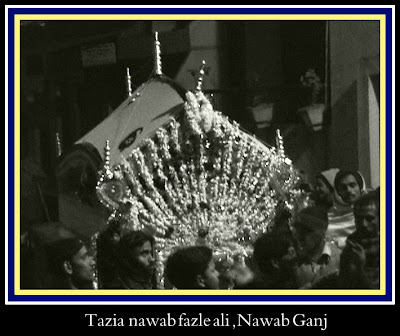 On the 9th day of Muharram, the Azadars traditionally sets out on a mourning Procession with ‘ ‘Nishan’ (made out of bamboo and mica). The procession proceeds to the frenzied beating of drums where Azadar recite ‘Munaqib’(Prayers). On the evening of the day people stay awake all night, reading the Quran and singing praises of Imam Hussain (A.S). 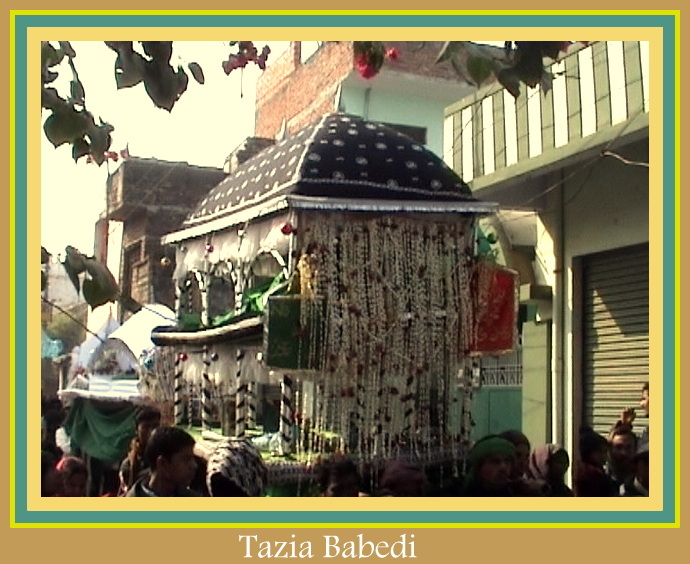 On Ashura, the most important day, processions with Taziahs are taken out in commemoration of the sad event. Men in procession observe matam, with heart-rendering cries of "Hussain, Hussain!" while lashing with chains against their backs ’Zanjeer Zani’. The whole day of Ashura the faithfuls abstain from taking food and water, in remembrance of the three days thirst and hunger of Shohadae Karbala in the burning heat of the Arabian desert. 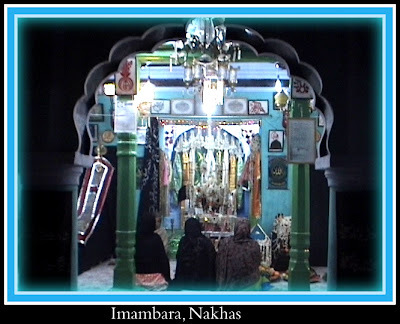 Then there is the ritual of Majlis, the special ritual in the evening called sham-e-ghareeba`, where people once again gather to mourn in absolute darkness except for a candle to read out the "marsiya" (the mourning tales). 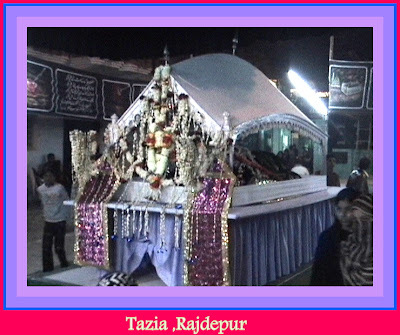 People of all the religion and sects in Ghazipur district, the State Government and its administration, the Authorities, the Police, and various other relevant departments give full-hearted help, support and co-operation to the organizers. This spontaneous help and understanding demonstrated in bold relief the secular character of our nation – India in its full majesty. Major Islamic events have happened on Yaum-Al-Ashura, the tenth day of Muharram. It is believed that on this day Adam was created and entered the Paradise, Prophet Ibrahim (Abraham) was born, Prophet Isa (Jesus) was raised to the heavens and the people of Prophet Moosa (Moses) obtained freedom from the tyranny of Firaun (Pharoah). Shab-e-Qadr or the Lailat-ul-Qadr is a very blessed night which occurs on one of the odd nights during the last ten days of the holy month of Ramadan. It was during this night that the Holy Quran began to be revealed to Prophet Mohammed. These odd nights, therefore, are known as Lailat-ul-Qadr or the Nights of Power, during which night vigils are observed and extra prayers are offered. The precise date of the Lailat-ul-Qadr is said to have been known only to the Prophet and a few of his Companions. The Holy Quran mentions that the Lailat-ul-Qadr is better than one thousand nights. 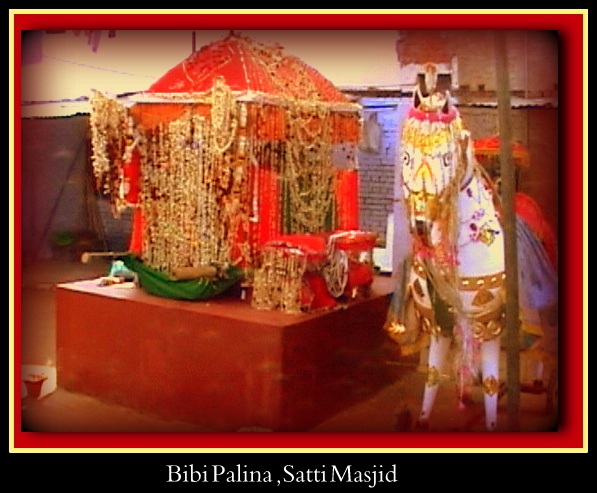 Shab-e-Baraat is celebrated on the night of the 14th day of the month of Shabaan in the Muslim calendar. According to belief, the destinies of men for the coming year are recorded on this night. All over district, Muslims stay awake all night, reciting the holy Quran. People also visit the graves of their dead ones to pay their obeisance. However, these customs are not practised anywhere outside the Indian sub-continent. Shab-e-Meraj symbolises the night during which Prophet Muhammad journeyed to Baitul Muqqadas or Masjid-e-Aqsa at Jerusalem and thereafter to the skies on a horse-like animal called Burraq (which travels with the speed of light) and saw the paradise and the hell and met the other Prophets there. 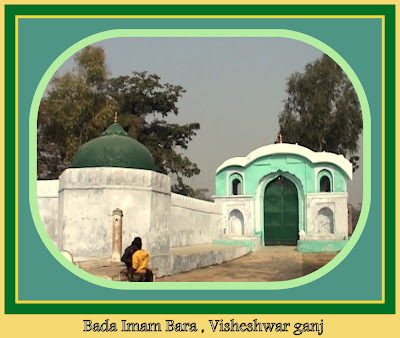 In Baitul Muqqadas, the Prophet led in prayer, all the earlier Prophets who were gathered for the occasion (in their Barzakm or transitional and transcendental bodies). From there, he was raised to the heavens where he again met and conversed with different Prophets. 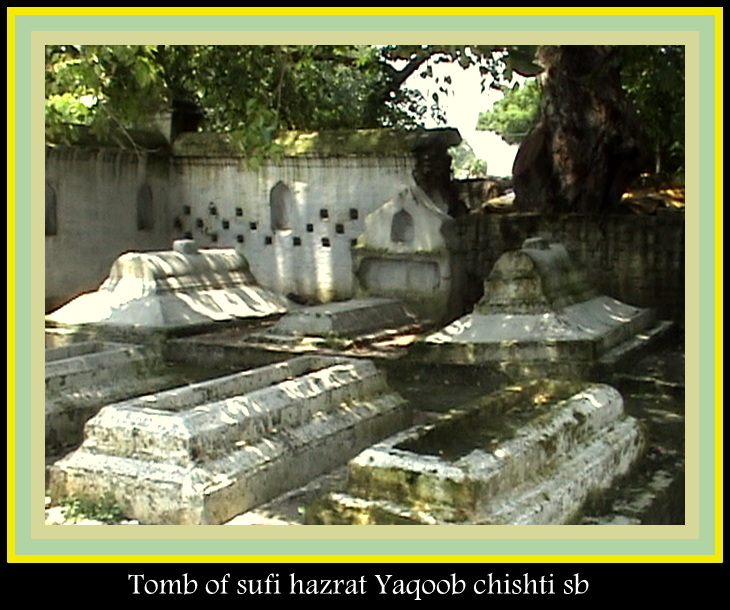 He was ultimately elevated to a point beyond heavens, called Sidrat-ul-Muntaha. According to Ahadith, the Archangel Jibriel had operated upon the heart of the Prophet Muhammad when he was asleep in the Kaaba at Makkah and converted the Prophet's body into transcendental form to make it suitable to withstand the journey of the space. The Five Prayers every day are believed to have been ordained for the Ummah on this occasion. 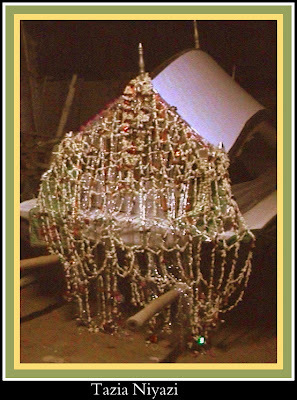 In the Ghazipuri marriage cultures the ‘Mangni’ is essential not only in the Muslim families but also in non-Muslim ones. It is exchange of rings between the marriage partners and gift items,especially sweets and clothes. Generally, groom’s family visits the house of bride first and puts a ring in her finger. Then it is turn of the bride’s family to do the same. Now the modern families are allowing their children to exchange their rings in a single ceremony but most of the people are still going with the tradition. Mangni, in marriage cultures and Islamic laws does not allow the marrying parties to have any kind of relationship. It neither creates any right nor duties. It is only after valid Nikah that they become legally husband and wife. If engagement is broken by any of the party, it does not affect the parties anyway. However, the parties prefer to return whatever they have got as gifts. When the date of marriage is fixed, in marriage cultures, the marriage ceremonies start 2-3 days before the wedding date. One day one, the bride’s family goes to the house of the groom carrying ‘Mehndi’ paste and burning candles while singing songs. Next day evening the same custom is observed by the bride’s family. The women sing teasing songs and the host offer dinner on each day. 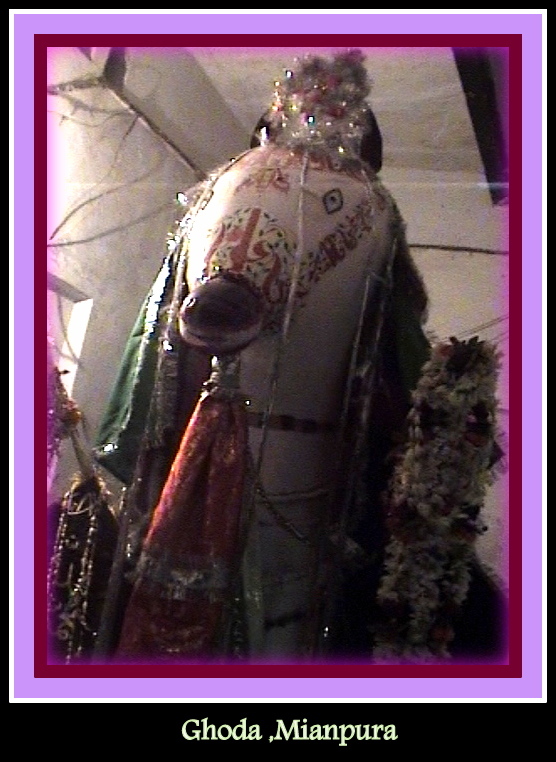 On the third day, the ‘Manjha’ ceremony takes place. The prospective bride is seated on a small square table and anointed with turmeric paste provided by the groom’s family. She wears yellow clothes without any jewels and her friends put turmeric paste on the whole body of the bride before she takes bath. The women from the both sides make the event colorful with their singing and dancing. The ‘Manjha’ ceremony takes place at the house of bride. The order is not fixed. The families may decide to change the order of observing the customs as for their convenience. 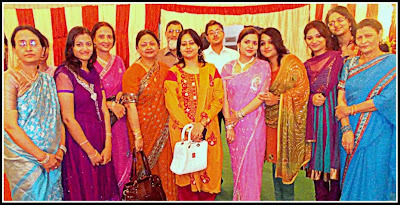 When the ceremony has to be completed within two days, the groom’s family enjoins the ‘Mehndi’ and ‘Manjha’ ceremony. 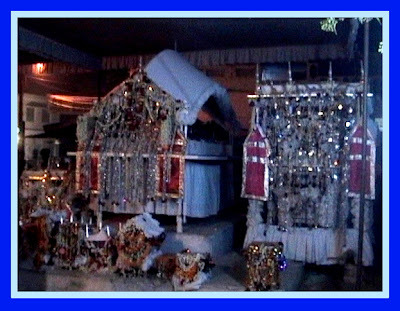 The wedding ceremony takes place at bride’s place. The groom goes to the bride’s place with a happy procession. The men and women in Muslim marriage cultures are seated separately. The bride goes to female section and the groom to the male section. Then the traditional ‘Nikah’ is recited by the Imam or Nikah registrar. Sweets and dry dates are distributed by the groom. The bride’s father offers refreshment which may be a cold drink or dinner/lunch. Rukhsati means farewell to the bride. It is generally performed by the bride’s father. He asks father of the groom to take care the bride as if she is his own daughter. The Mother of the bride says the same kind of words to the mother of the groom. The groom’s father and mother promise that they shall look after the bride and treat her always as one of their daughter. In some families the father of the bride gives her hand in the hand of the groom. When the bride moves from her father’s house, her mother holds Quran over her head until she is seated in the vehicle to move to her new home. In some places, when bride enters her new home her mother-in-law holds Quran over her head for blessings of God and her protection from evils. Many colorful customs are observed. Some people claim that these customs have roots in Hindu culture. But if they don’t harm your faith, there is nothing wrong in having colors in your life. 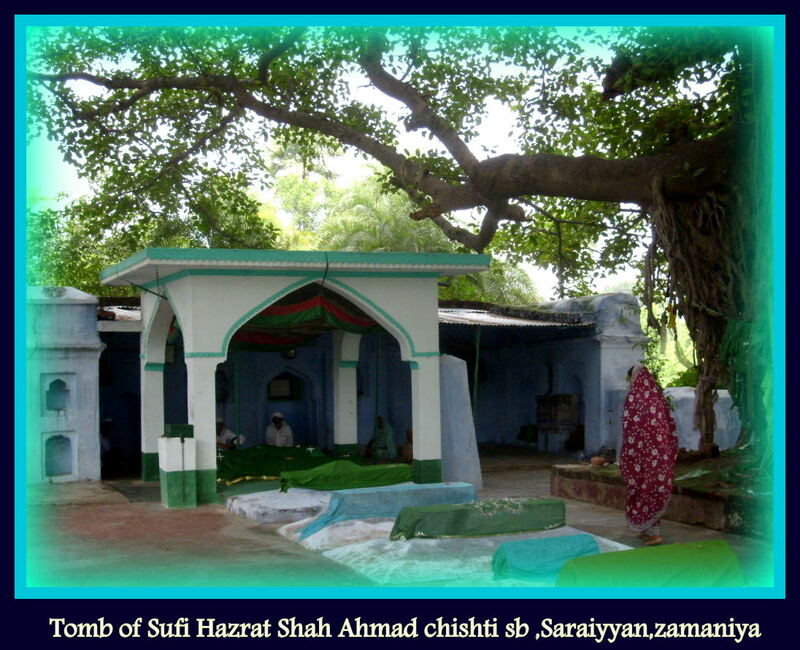 His family never wrote Syed with their name, however some in his clan write Siddiqui.